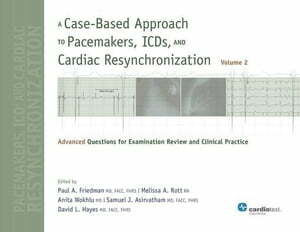 Collins Booksellers - A Case-Based Approach to Pacemakers, ICDs, and Cardiac Resynchronization: Advanced Questions for Examination Review and Clinical Practice [Volume 2] by Friedman, Paul A., 9781935395478. Buy this book online. Clinical case studies that show variations of normal and abnormal function of pacemakers, ICDs, and CRT devices, by experts from the Mayo Clinic.